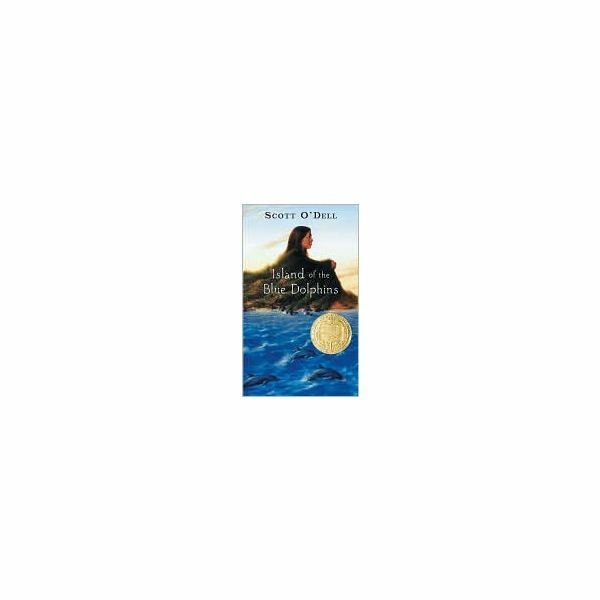 Island of the Blue Dolphins by Scott O’Dell is a Newbery medal winner and a great read for boys and girls alike. Karana, the main character, spends eighteen years on an island located 75 miles off the coast of Los Angeles, California. This book is often used as a unit study in classrooms or it is a good book to read for pleasure. If you are a student, the Island of the Blue Dolphins test will help you review what you’ve read. If you are a parent of a student reading the book, use this as a guide to see how well your child is comprehending what is being read and if there are problems understanding new vocabulary words. This book is a good one to use for family discussions, too. Everyone will realize how many conveniences we take for granted. Use this variety of questions to review the Island of the Blue Dolphins. 1. The Aleut ship came to the island to hunt for_______________. 2. To picture the island, imagine if you were looking down on it and it would look like a ________________ lying on its side. 3. When the Aleuts were finished hunting, they did not keep their end of the bargain by giving the Ghalas-at tribe a proper share of the otter skins. A battle ensued and the chief of the Ghalas-at was killed. He was the father of ___________. 4. The white men came to take the Ghalas-at tribe from the island. _________ jumped over board to go back for her___________. 5. The __________________ killed Ramo, Karana’s brother. 6. For weapons, Karana made___________________ and __________________. 7. Karana tried to leave the island but the canoe_______________. 8. Karana built a fence from the ribs of a _______________. 9. When her shelter was complete, Karana set out to kill___________________ to revenge the death of her little brother. 9. _________________ a narrow opening in a rock or wall. 1. How did Karana communicate with the Aleut girl who was on the island for a short time? 2. Describe the ways Karana found food. Research The Lost Woman of San Nicolas Island about whom this book is written. Try to survive a day without common conveniences: television, telephone, video games, microwave, etc. Island of the Blue Dolphins test will help you check your understanding of the book. It reviews vocabulary and comprehension facts. Then have some family discussions about trying to survive without today's modern conveniences. Use the book before you take a family camping trip! Besides the modern items that you would miss, imagine being all alone for eighteen years without hearing another human being talk. Could you handle the loneliness? O'Dell, Scott. Island of the Blue Dolphins. Sandpiper, 2010.